After months of insistence for a righteous outcome thus justifying every stalwart SSC aspirant’s hard work in SSC CGL 2017 Exam where implication on SIFY for involving in cheating practices in Tier-2 CGL 2017 Exam was a burning issue and on Supreme Court’s order, a consequential probe into the matter confirmed previous tender SIFY an accomplice in making cheating a possible practice in one of the most celebrated exams across the country via false means. After which an RFP to relocate a vendor for conducting upcoming SSC Exams was made by SSC in which various vendors were a matter of interest for the Commission. 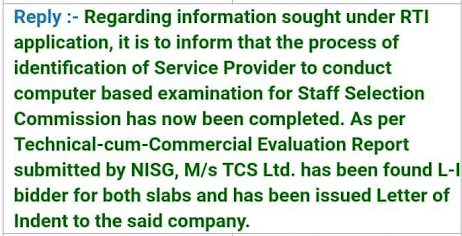 And RTI responding on a questionnaire about new exam conducting agency for SSC has finally replied today on 14 December 2018 and confirms that the process of identification of Service Provider to conduct Computer based Examination for Staff Selection Commission has finally been completed and mentions TCS as the bidder for both slabs to conduct SSC Exams. However, considering the old information from the sources, it had been already stated that “TCS would be finalized as the current vendor to conduct all SSC Exams” And now after RTI’s confirmation, the news brings a hope of immediate actions by the body in order to conduct all the pending SSC Exams. Also it was informed from the sources that there would be no change in the pattern and syllabus of the exam. And also the other information published in the notification would remain intact. 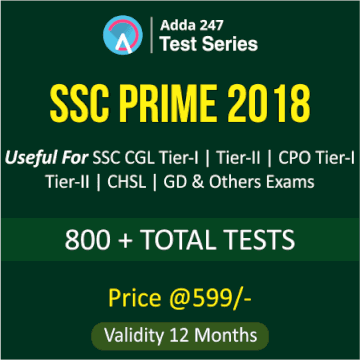 SSCADDA is available 24/7 to help out SSC aspirants in their well off preparation to crack upcoming SSC Exams. 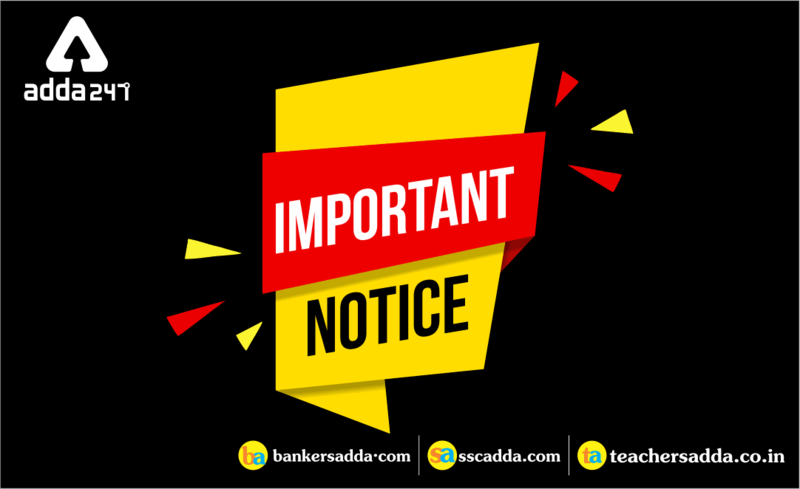 Stay in tune with SSCADDA to get further updates on SSC Exams.